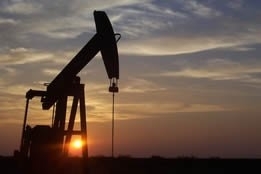 With Monday's sobering crude market losses in which U.S. oil dipped below $50 for the first time in a year, the analytical community's focus has intensified on the Organization of the Petroleum Exporting Countries'(OPEC) plan to avert a global glut with another output cutback - and they question whether the cartel has the influence to make much of an impact. Leading the charge was Julian Lee, oil strategist for Bloomberg, who told Bloomberg television that although OPEC prides itself on being able to look after the interests of its own members, they initially couldn't agree upon the latest round of production cutbacks: "It looked very much like the deal was going to fall apart, just as the one did in early 2016." Lee added that the very next morning Alexander Novak, energy minister for Russia, joined the meeting, and shortly thereafter a deal was reached: "This is an organization that failed to make its own decisions." Lee's point was that OPEC members "have very different needs, very different aspirations," and that in addition to Russia's influence widening the divisions between the cartel's `haves' and `have-nots', OPEC's efficacy in 2019 with regards to its cutbacks is understandably being greeted with skepticism. In a separate written think piece for Bloomberg, Lee elaborated that "Saudi Arabia, Russia, the United Arab Emirates, and Iraq boosted their combined output by almost 1.6 million barrels per day between May and October: that not only contributes to the current glut, it also gives them much higher starting points for the latest cuts than for the previous ones. "Other OPEC members all face lower starting points.....the effect has been to shift a disproportionate share of the burden of OPEC's supply management since 2016 onto the group's smaller producers." Lee concluded that oil market have reacted with indifference: "Perhaps traders don't believe the group will be able to implement the arrangement, or are waiting to see evidence that it's taken effect. "OPEC has lost a lot for very little gain." But while Lee's line of thought suggests that 2019 for the crude market may be rough sledding with regards to swelling global supplies, another analysts warns that more attention should be paid to demand. Appearing on CNBC's Squawk on the Street, Francisco Blanch, head of global commodity and derivatives research at Bank of America, said,"heading into next year, prices will trend towards $70 per barrel for Brent, towards $58-$59 for WTI, as long as global growth stays on trend - we don't need to see super strong growth, just general 3.6-3.7 percent global GDP growth" and U.S. growth at 2.6-2.8 percent. He went on to remark that, "the supply side has been fixed and I think the demand side is the one of greatest concern right now....all eyes right now are on the demand side." Presumably, Ed Morse, global head of commodities research at Citi, agrees: last week he remarked that OPEC "is confronting a much weaker marker than they've seen in the past two years when they've drawn down inventories," and that the cartel "may have to cut further next year due to offset U.S. output and a potential global glut." Shippers are said to favour Q4 for when the carriers' surcharge should begin.